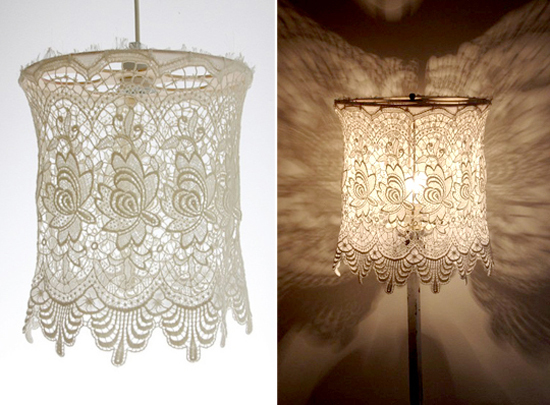 Have you ever thought about turning your old doilies or lace tablecloths into a lamp shade? Well, I have actually been thinking about it a lot...especially since my grandma told me that she had a whole bunch of vintage doilies that she wanted to give me. Unfortunately, every time I go home to visit, it seems like I can't fit anything extra into my bag (not just because the zipper is about to rip, but because it ends up being right on target with the 50lb weight limit) so I haven't been able to take the doilies home with me yet, but I plan to save some extra space when I travel home for the holidays! What do you think? 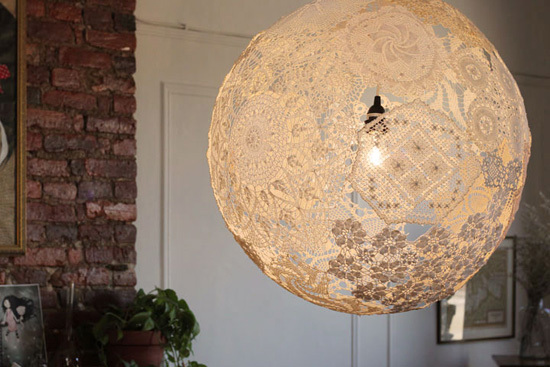 Would you do use a fixture like these in your own home? 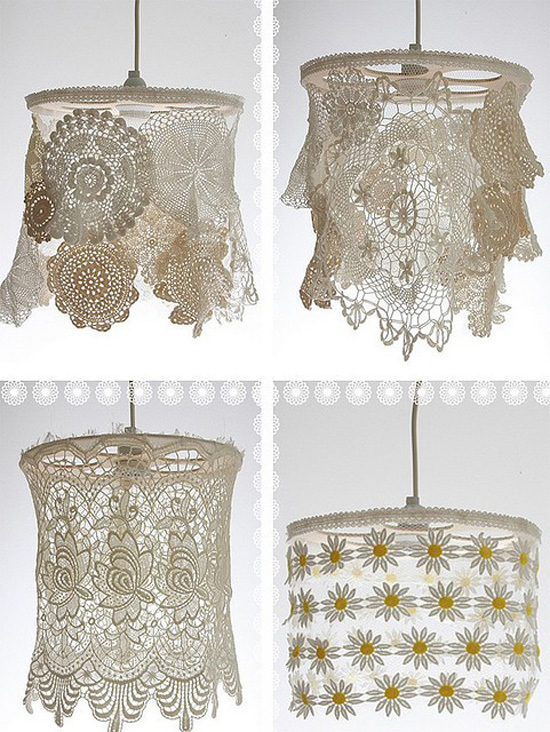 I've been thinking of how to turn some lovely dark green lace (which I already had) into a cover for them, but I had only assumed that covering an existing lampshade was the best and only option for this. Wow, those are cool! What fun DIY projects! I love those light fixtures. They are awesome.. I think I'm going to have to make one. My mom took the lace doilies left to me by my grandmother and made a quilt - and then she hand-stitched the doilies to the top of each square. It is an heirloom that is useful and I will treasure it forever! How do you think they made the round one? That's my favorite. I want to do that if I can figure it out.